Sketch Nation: Sketch Nation Shooter is the Free App of the Day! Sketch Nation Shooter is the Free App of the Day! Sketch Nation Shooter is today's Free App of the Day at http://freeappaday.com. Have you ever wanted to create your own iPhone or iPod Touch game? Now you can and it only takes a few minutes! Watch your drawings come to life in an instant! Create a game from your drawings in just a few minutes. All you need to do is draw a player, enemies, a boss and even a level if you feel adventurous, take their picture and play. * 10 original music tracks to choose from. Just think of all the games you can create just by sketching and playing around with the options! 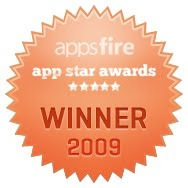 Thanks to our social features you can download games that people all over the world have created and all that for FREE! By downloading Sketch Nation Shooter you are actually getting thousands of games. You can also see your friends’ scores and share your favorite games with them via Facebook Connect. With Sketch Nation Shooter you are receiving a ticket to enter a magical world that will let you take a peek at people’s minds and creativity from across the globe. Fathers and mothers: no need to hang your kids’ drawings on the fridge anymore; now you can play with their drawings on the iPhone and iPod Touch with Sketch Nation Shooter. If you don't feel like drawing, you can create games using the built-in art packs. 6 free art packs are included and you can purchase 4 more using In-App purchasing, including an art pack by the popular web comic 2P Start!